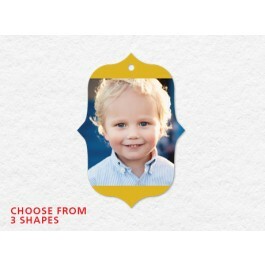 Send a holiday ornament along with your holiday greeting this year. Let us help you spread your holiday cheer by uploading your personalized holiday ornament design to one of our ultra-thick LOFT ornament layouts. You may choose from double, triple, or quadruple thick in 3 lovely shapes. 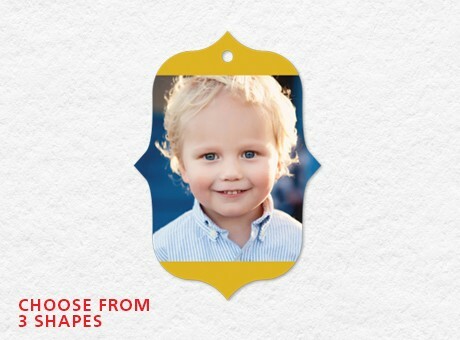 Ornaments come with hole pre-punched and an accompanying white grosgrain ribbon for hanging.